Shirts With Random Triangles: Texas high school QB prospect Justin McMillan commits to LSU. 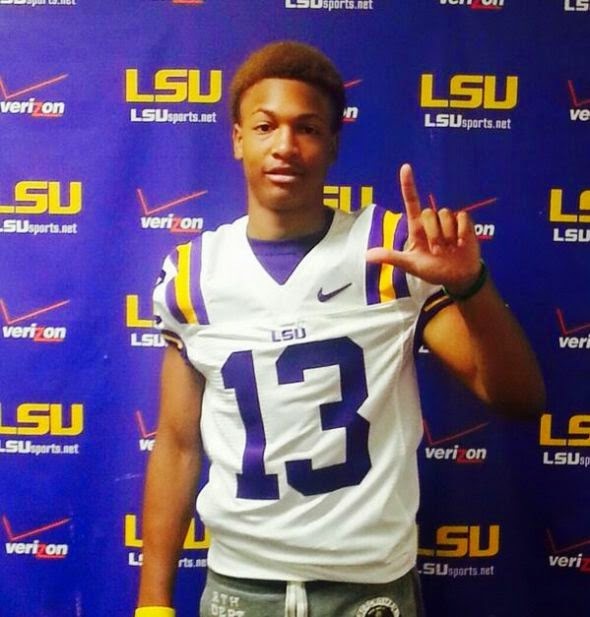 Texas high school QB prospect Justin McMillan commits to LSU. Justin McMillan. Photo via Fansided. LSU adds another piece to its 2015 recruiting class. Cedar Hill, Tx. quarterback Justin McMillan became the twelfth commitment to the Tigers' 2015 recruiting class on Wednesday. Here are McMillan's 247Sports.com intangibles: McMillan is a three-star composite dual threat QB. He is rated at 42nd on the composite 2015 top dual-threat QB prospects rankings list. He is rated as the 168the top 2015 prospect in Texas. McMillan attends Cedar Hill High School in Cedar Hill, Tx. He stands six feet, 1.5 inches tall, and weighs 170 pounds.